Chinese President Xi Jinping has congratulated Pakistan's newly-elected President Arif Alvi, saying that the strategic significance of the bilateral ties is "more prominent under the current circumstances" and both sides should support each other "more staunchly". 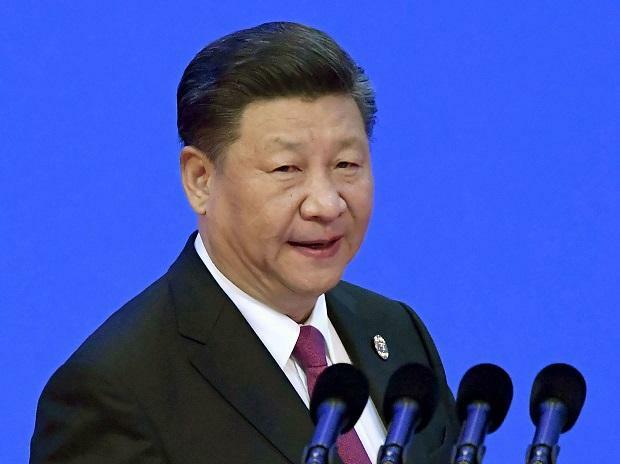 "In recent years, with the joint efforts made by both sides, mutual political trust is stronger, and the construction of the China-Pakistan economic corridor (CPEC) is fruitful, which has not only benefited the two countries and the two peoples but made positive contribution to peace and development in the region," Xi said in his message on Tuesday. The multi-billion-dollar Belt and Road Initiative, the pet project of Xi, has become a major stumbling block in India-China relations as the CPEC has been listed as its "flagship project". His message to Alvi comes in the midst of reports of unease in Beijing over how the new government headed by cricketer-turned-politician Imran Khan would approach over USD 50 billion Chinese investments in various projects under the CPEC connecting China's Muslim-majority Xinjiang province with Gwadar port in Pakistan.